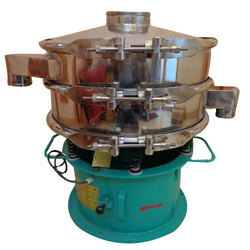 We are a leading Manufacturer of vibro sifter from Ahmedabad, India. We are operating as the leading manufacturer and supplier of Vibro Sifter. The offered machine is extensively used for screening of powders in pharmaceutical, chemical and mineral ore industries. This machine is energy efficient, resistant to corrosion, easy to clean and in adherence with the prevalent market trends. We are well equipped for handling bulk orders and are prompt with deliveries too.